Let Ministry Referral help! Whether you want to find a place to serve while you are a student or you are nearing graduation, we can help connect you with ministries. Our system is simple to use and puts you in charge of where your resume is sent. Also, consider meeting with our Director, Dr. Don Allard, for guidance counseling, resume advisement, and other assistance. With over 20 years of pastoral experience, Dr. Allard can provide valuable insight into your search for a ministry position. 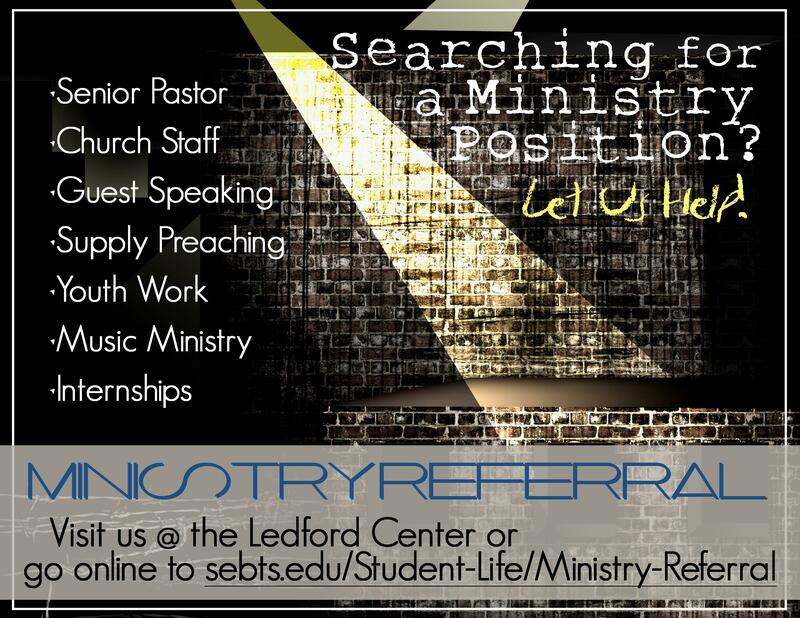 Contact our office at (919) 761-2317 or MinistryReferral@sebts.edu to learn about our services or to set up a time to meet with our director.